Just another outfits of the week post! 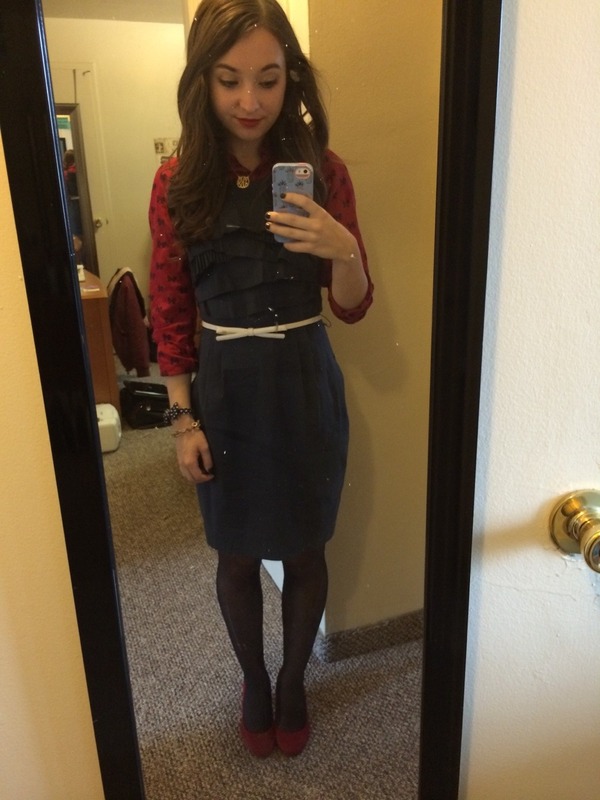 Tuesday morning: internship BCBG dress J. Crew shirt and tights Shoes from Target Lilly Pulitzer belt Kiel James Patrick and J. Crew Factory bracelets Wednesday morning: internship J. Crew Factory shirt Light In The Box necklace J. Crew pants Vince Camuto boots Thursday morning: internship J. 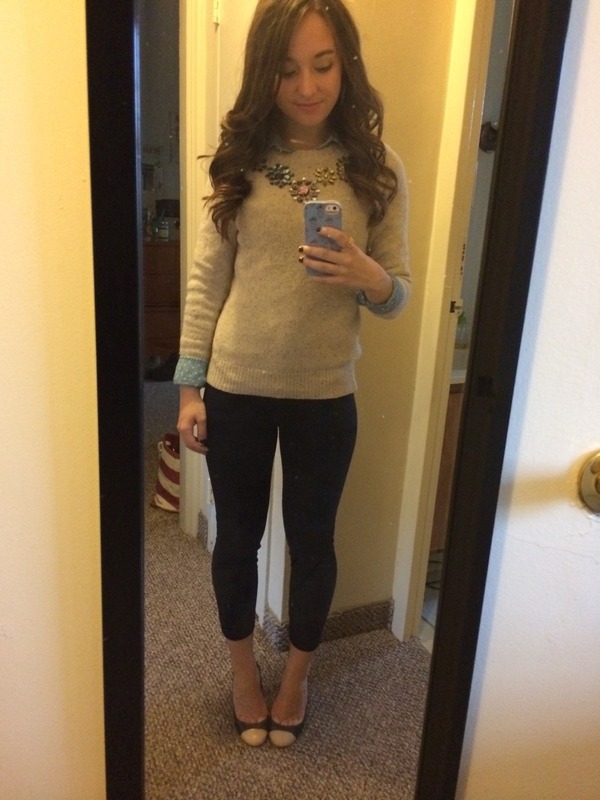 Crew sweater, pants, and shoes Chambray from Marshall's Friday afternoon: class Lilly Pulitzer scarf Ralph Lauren sweater 7 For All Makind jeans Vince Camuto boots Sunday afternoon: church and internship event J. 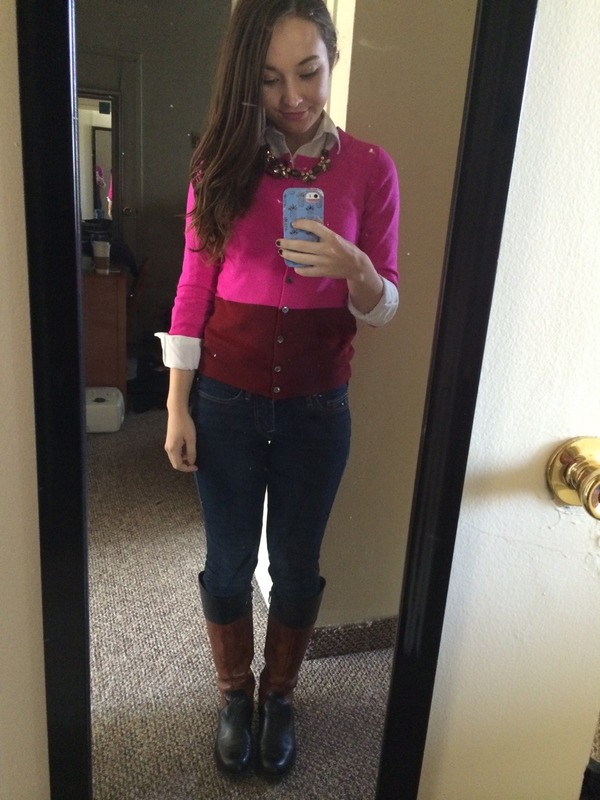 Crew sweater and necklace Ralph Lauren shirt True Religion jeans Vince Camuto boots Thanks for reading! Nice outfits! Love the first one! I love your weekly outfit posts! 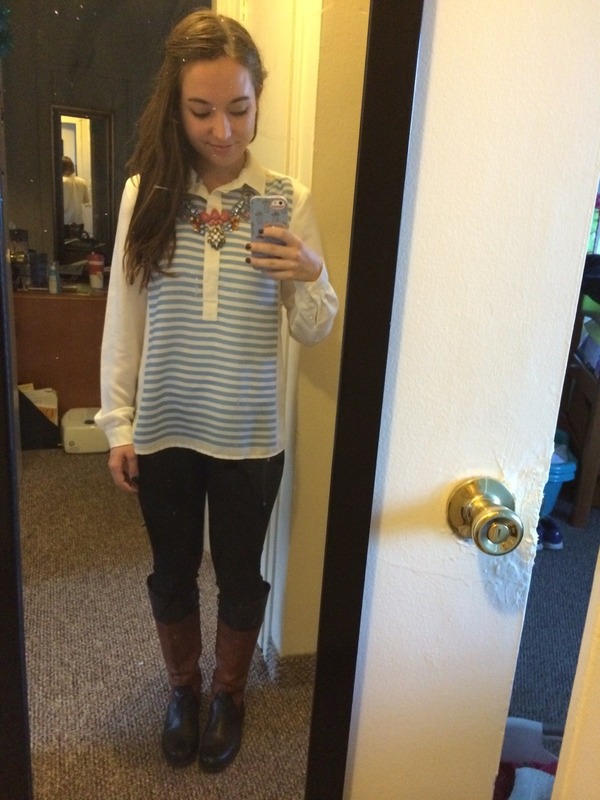 It's admirable how you put so much thought into your outfits for your internship and class! 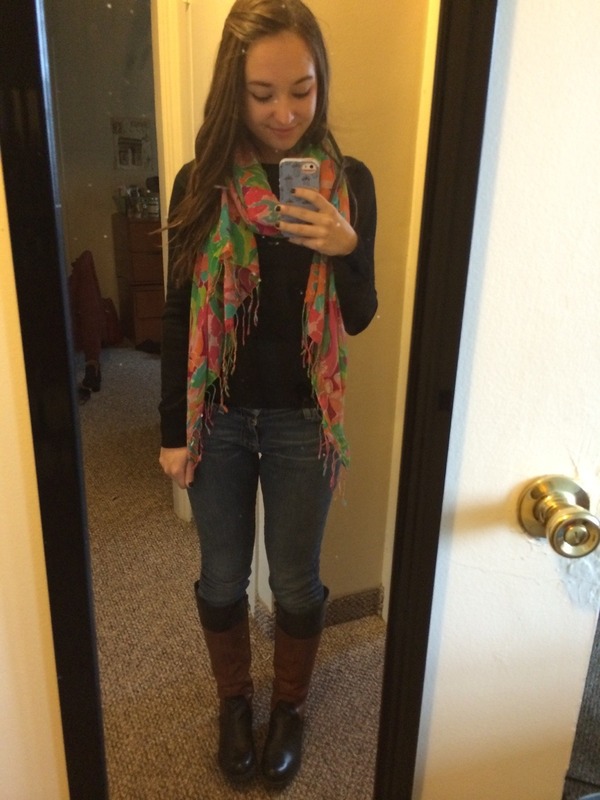 Adorable outfits :) I'm originally from PA, so I know how cold it's getting there! 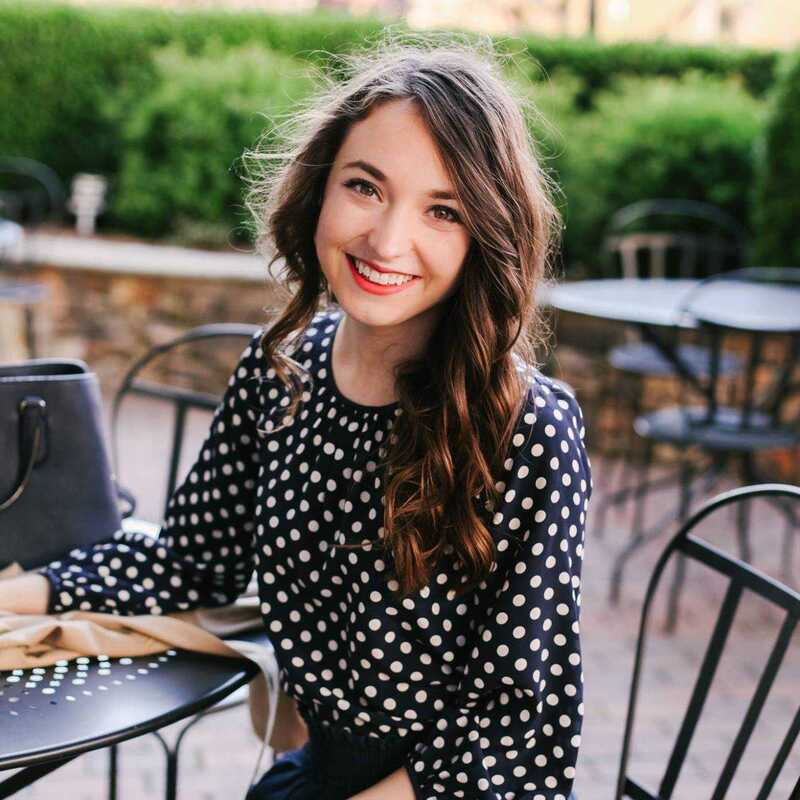 It's fun though to start layering outfits together and coming up with new ideas of how to style them!